Girls of color continue to face deep systemic, societal, and institutional challenges girls face, and the situation is particularly pronounced in the U.S. Southeast, which has been historically neglected by philanthropy, especially when it comes to the work of girls of color. Though 40 percent of girls of color live in the South, less than 1 percent of foundation funding went specifically to programs focused on Black women and girls. 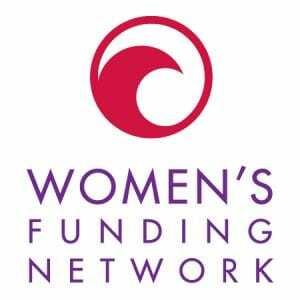 This investment also comes along at an important time when civil society organizations like women’s funds may need extra support, given that the current administration plans to further cut discretionary social spending. Places like the U.S. Southeast will be particularly hurt by these cuts, and will need the added support of private philanthropy. More of these visions are about to become realities, thanks to the NoVo Foundation making this work a priority. “NoVo will deeply invest in community-based organizations that center girls of color as agents in their own decision-making and create spaces for connection, healing, and consciousness-raising with and for girls of color,” said a press release announcing the new opening for RFP’s. Along with emphasizing grantmaking in the U.S. Southeast, NoVo is also opening grantmaking to community-based partners nationwide, and will be providing grants that way to make sure there is still impact for their work in other regions. NoVo’s Listening Tours also helped to affirm that some area of philanthropy are still very underfunded, including investments to end sexual violence and confront racism. Partner with regional grantmaking and movement building infrastructures, starting with the Southeast: In addition to prioritizing community-based organizations across the country, NoVo has issued an RFP to identify a regional infrastructure to partner with on grantmaking and movement capacity building, starting in the Southeast. The regional partner will house efforts that provide grant making to existing organizations and help seed new organizations, with the goal of eventually also supporting individuals and collectives outside of formal c3 structures. In addition to grantmaking the regional partner will provide the healing, political education and organizing capacity needed to sustain a healthy field. For a full, detailed description of NoVo’s grantmaking strategy or to apply for a grant, please visit their website here.